SBI, ICICI Bank and the post office levy a fee ranging from Rs 5 to Rs 20 per transaction as ATM charges under certain conditions. ICICI Bank allows the first 5 transactions every month free of cost. India Post allows up to 5 financial transactions per day at its ATMs. Most banks levy a fee ranging from Rs. 5 to Rs. 20 per transaction. Most banks today permit their customers a stipulated number of ATM transactions free of cost every month. Banks such as SBI or State Bank of India and ICICI Bank, and even the post office, which offers several types of savings schemes and remittance services, levy a fee ranging from Rs 5 to Rs 20 per transaction (excluding GST) as ATM charges. The ATM charges vary, depending on whether the ATM belongs to the same lender the customer holds an account with and where the ATM is located. SBI, the country's largest bank, allows unlimited transactions free of cost at its group ATMs for customers maintaining a monthly average balance above Rs 25,000 in the previous month, according to its website - sbi.co.in. For accounts with lesser monthly average balance, SBI has set certain limits on the number of ATM transactions at State Bank Group ATMs. This is applicable to ATM transactions of financial as well as non-financial nature. 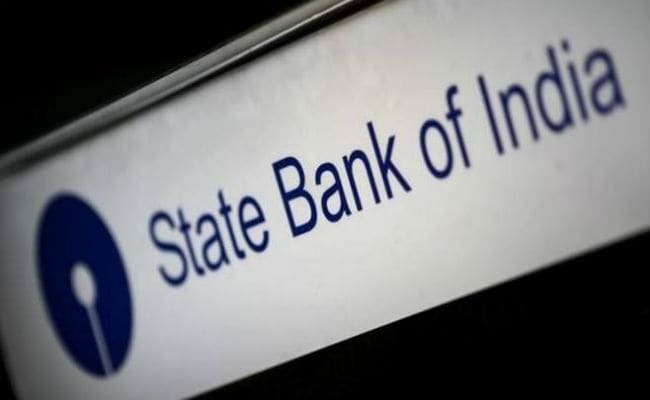 For example, State Bank of India customers having maintained a monthly average balance of up to Rs 25,000, are allowed up to 10 transactions per month free of cost in SBG or State Bank Group ATMs subject to certain conditions, according to the bank's corporate website. Any additional ATM transactions attract charges at the rate of Rs 5 plus GST to Rs 20 plus GST, according to the SBI corporate website. These charges depend upon factors such as the nature of transaction and type of ATM. Any financial transactions beyond the monthly limit at SBG or State Bank Group ATMs are chargeable at Rs 10 plus GST. This includes SBI group ATMs in six metros - Delhi, Kolkata, Mumbai, Chennai, Bengaluru and Hyderabad - and other locations. For transactions at ATMs of other banks, SBI charges Rs 20 plus GST. In case of non-financial transactions, SBI charges Rs 5 plus GST per transaction at its group ATMs. That is applicable to non-financial transactions over and above the allowed number of free transactions. 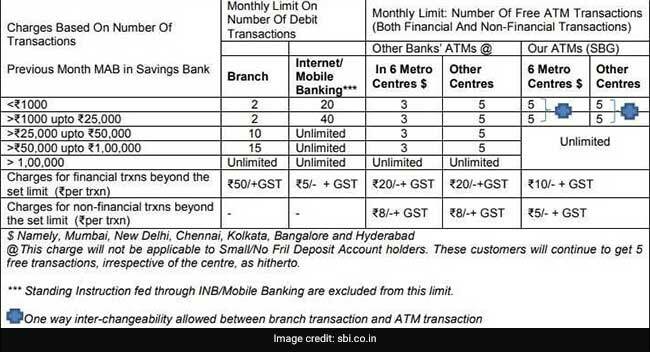 Any transaction of this nature at ATMs of other banks are charged at Rs 8 plus GST, according to SBI's website. "This charge will not be applicable to Small/No Frill Deposit Account holders. These customers will continue to get five free transactions, irrespective of the centre, as hitherto," SBI adds. ICICI Bank allows its customers to make the first five ATM transactions every month free of cost at its ATMs. This is applicable on ATM transactions of financial as well as non-financial nature, according to the bank's website - icicibank.com. Additional transactions are charged between Rs 8.5 and Rs 20 depending on their nature. ATM transactions of financial nature are charged at Rs 20 per transaction by ICICI Bank. The bank charges a fee of Rs. 8.50 per transaction in case of non-financial transaction. At ATMs of other banks, ICICI Bank allows its customers three transactions free of cost in metros every month. This is applicable to financial as well as non-financial ATM transactions made at ATMs located in Mumbai, Delhi, Chennai, Kolkata, Bengaluru and Hyderabad. At all other locations, ICICI Bank allows five ATM transactions free of cost every month. This also includes both financial and non-financial transactions. In both cases, ICICI Bank charges a fee of Rs 20 per financial transaction and Rs 8.50 per non-financial transaction for any additional transactions. India Post - which has a network of more than 1.55 lakh ATMs across the country - allows up to five financial transactions per day at its ATMs, according to its website - indiapost.gov.in. At ATMs of other banks, India Post allows its ATM card holders to make three transactions - of financial or non-financial nature - free of cost per month in metro cities, according to its website. For any such transactions outside metro cities, India Post has set a limit of five for free ATM transactions. Additional transactions at ATMs of other banks attract charges at the rate of Rs 20 plus GST​ per transaction, according to the India Post website.